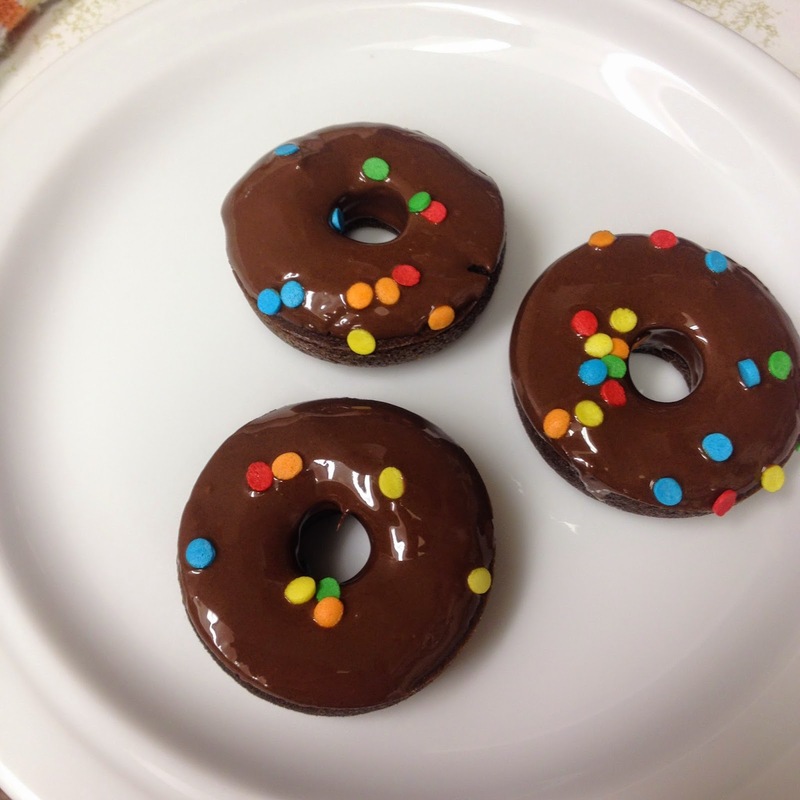 After I made those healthy chocolate cupcakes last week, I decided to test them out as mini doughnuts! I thought the texture could lend well to a cake doughnut. The first thing I did was order a perfect pan for my cupcakes. I love THIS PAN so much, I ordered a 2nd one today! 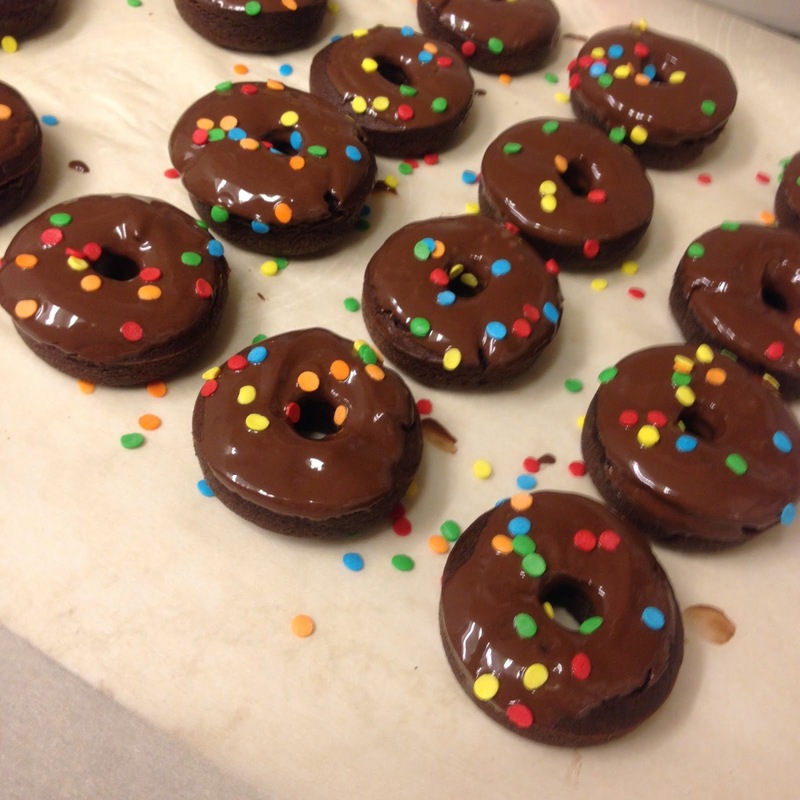 My recipe made enough for 3 dozen of these mini doughnuts. I followed my recipe. The only variation was that I added a little bit more rice flour just to make the batter a little thicker. Then I piped it into the pan with a piping bag. Cooked for 15 minutes at 375 and out popped perfect doughnuts! 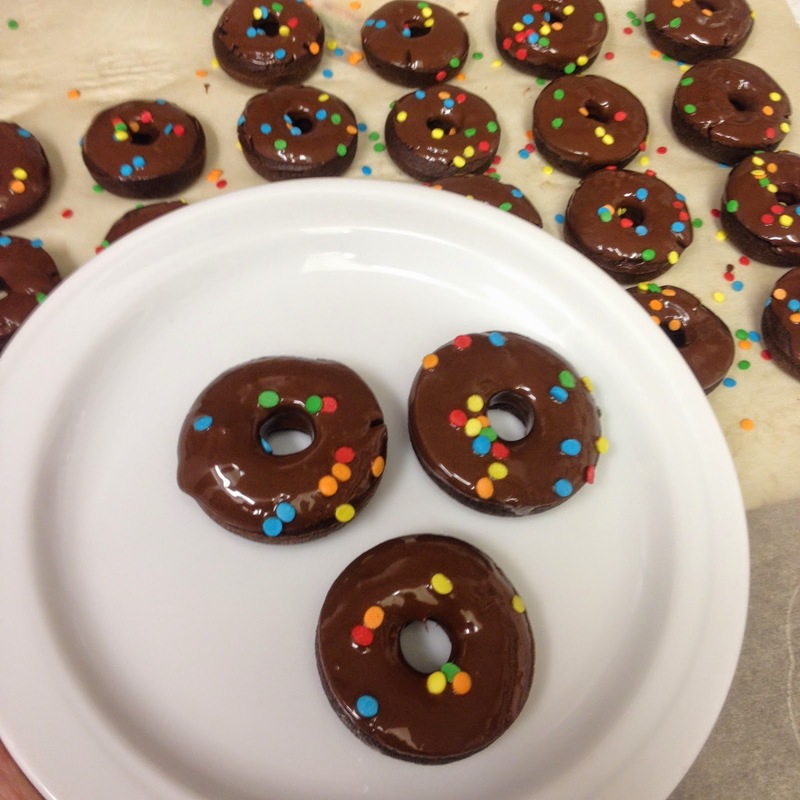 When they were done, I dipped them in a few chocolate wafers melted with a bit of coconut oil. I had some sprinkles in the cupboard, so I added them for flare. The baby ate 5 of them before I even put chocolate on them. They are yummy without frosting, but once I added the flare, the 8 year old and Papa both ate some too. They got thumbs up all around! I'm thinking some version of these are going to the next preschool snack day!